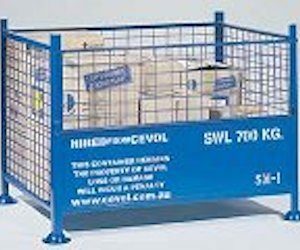 This Cevol Bulk Stillage – Folding is designed to store and stack awkward bulky goods such as 4WD Bullbars, rolls of carpet, geotextile storage, and bulk bag products like powders, fertilisers and grains. 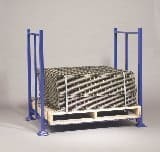 It has folding end posts which allows the stillage to be stacked efficiently when not in use, minimising floor space. The design also maximises legal space on tray trucks and semi trailers. Goods in rolls may overlap the base depending on the strength of the roll. 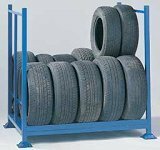 We can also custom manufacture Bulk Stillage – Folding products to suit your specific requirements. Contact the friendly Bremco team today to find out more or place an order. You can also get a quick quote online.